Consolidate your shipments and Save! Plus, take advantage of USPS rates. FULFILLING OUR CUSTOMERS NEEDS FOR ALMOST 20 YEARS. From our location in Oakville, Ontario, Canada we serve as a marketing fulfillment services solution for a wide range of projects. We tackle projects that range from fulfillment, to rebate management and Kit Assembly, Bagging & Co-Packaging. Our in-house letter shop with variable data printing enable us to customize any direct mailing project for you. Dare Marketing is a Canada Post Certified Mail House offering you all services available. Discount rates are passed on to you, our customer. We are registered with the USPS so that you can drop ship directly into the US. 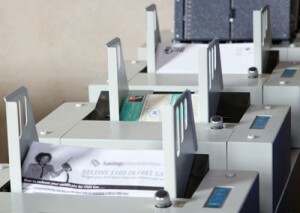 Our warehouse has machines that directly print onto envelopes and magazines as well as fold, insert and bag for any of your custom and unique campaigns. 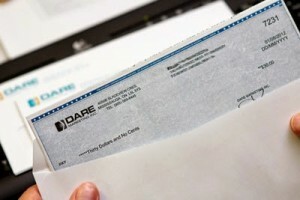 Dare Marketing manages rebate campaigns of all sizes, including gift card fulfillment and issuing cheques. Dare has a custom secure web based program which allows you to enter and track your rebate data online, as well as, log in and see the status of your campaign and download the results for easy reporting. Dare’s full range of Marketing Fulfillment Services are designed to make your work easy. We know the busy day of a marketing professional! That’s why we focus on being a single source supplier for all your marketing fulfillment needs. 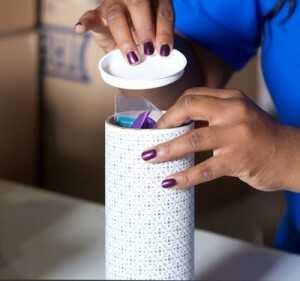 Packing products together has never been easier. Dare’s Kit Assembly, Bagging and Co-Packing services can make your project easy. Whether you’re kitting give-aways for a trade show, or packaging products together for and ecommerce sale. Dare has the experience to produce professionally, customized kitted packaged for your next promotion. 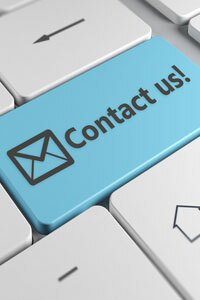 We'd love to hear from you to provide information or a free quotation. Simply fill out the form below. Needing direct marketing support for a seminar, we talked to Dare Marketing. Donna and her team made a few suggestions to reduce cost. We sent our list and the flyers to them. All proceeded on-time and on-budget. I highly recommend Dare Marketing and will definitely use their mailing services again. We recently had a series of sales meetings.. where individual rep companies made presentations on the state of their business and plans for 2014. EVERY Canadian rep indicated that one of the big successes of 2013 was the launch of DARE and how much value it is bringing to their business. Dare Marketing has always provided us with an excellent level of service and has worked with us over the years to find efficiency and minimize costs. By partnering with Dare Marketing, the Schlage division of Ingersoll Rand increased sales while minimizing cost and demand on internal resources. "Their diligence in working within our tight launch timelines, along with their support in providing training and troubleshooting for the new site has been exemplary." I found Dare Marketing to be not only professional, but also a pleasure to work with. The range of marketing services you provide to us include storage, assembly of our Learning Kits, processing, picking & packing our orders, with monthly reports on these services. I have recommended your marketing services and will continue to do so. Thanks for all your hard work.